Now that Maggie saved the world, life is returning to normal at MacKay & MacKay Magical Tracking. That is until a stranger shows up looking for some ancient jewelry to die for. In fact, lots of folks are dying for it. 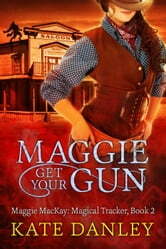 Maggie, Killian, and your favorite cast of characters are back for a rootin' tootin' urban fantasy adventure through the wilds of the Old West. The bad guys don't stand a ghost of a chance. WARNING: This book contains cussing, brawling, and unlady-like behavior. Proceed at your own risk. The adventure continues with Ms Mackay and her dysfunctional but helpful family and friends. Vampires, werewolves and ghosts...oh my! A girl just can't get a break when it seems both her own and the Earthly dimensions seem determined to force her into living in 'interesting times'. Fun with a capitol F and an exclamation point! Never a dull moment with this author's creations. Plot twists to give conniptions to her readers, good strong characters, whether living or dead, human or monster. Want the next one as soon as each is finished! This book was lots of fun. I love the odd characters that Kare Danley puts in this series. And the stories are fun, too. I would warn that there is a lot of cursing in this book. This series as a whole has lots of cussing. This book in particular has lots of the F word in several forms, as well as other curse words. I thought the cursing in the first book of the series showed more creativity. But I'm not really a fan of cussing, and this series is not for young readers. 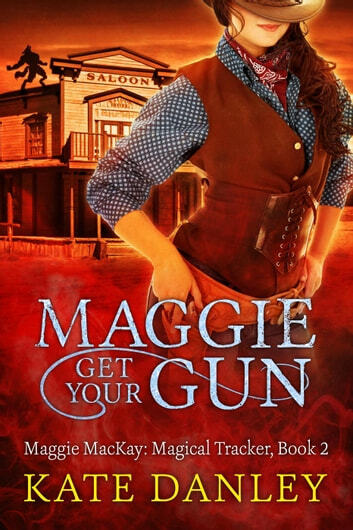 I would have given it five stars if the cursing were cut out, but I do see how it builds the character of Maggie. I would recommend this story in spite of the cussing to anyone who likes mysteries, paranormal stories with a twist, orsarcastically fun humour. I greatly enjoyed it.